Discover the magic, healing, joy, and new possibilities awaiting you in the symbols, images, and landscapes of your nighttime dreams. What if you could access all the wisdom you need for living a happier, healthier, more fulfilling life... from your nighttime dreams? Imagine if your dreamtime could provide you with the necessary insights to integrate your soul’s deep knowledge and create the life you desire. Since ancient times, civilizations have looked to their nighttime dreams for wisdom — to foretell the future, cure sickness, and communicate with the gods. This type of communication was considered divine intervention, and in some cultures, only those with supernatural powers could interpret the hidden mysteries that dreams reveal. Paying attention to your dreams and deciphering the messages living in the images, symbols, characters, and landscapes that appear can be a magical experience. And today, anyone can practice dreamwork... and reap its many benefits. Dreamwork can help you gain insights into how to heal an illness, mend a difficult relationship, jumpstart a creative project, or make a big life decision. Your dreams can give you a glimpse into your future — helping you better navigate what lies ahead. Some dreamers have even found themselves visiting other realms, and even past or parallel lives, in their dreams. And our dreams can also be where deceased loved ones visit us, offering the possibility for healing, forgiveness, and closure. That’s why we’re excited to invite you to sign up for The Dreamwork Summit series— a global gathering of leading dreamwork experts, renowned psychology professionals, and inspiring authors who are sharing a unique variety of dreamwork approaches and ways to open to your inner guidance that will transform your relationship to your dreams — and to yourself — to heal, enliven, and expand your life. Sign up to discover how you can access the soul-guided wisdom, healing power, and creative inspiration emerging nightly in your dreams! 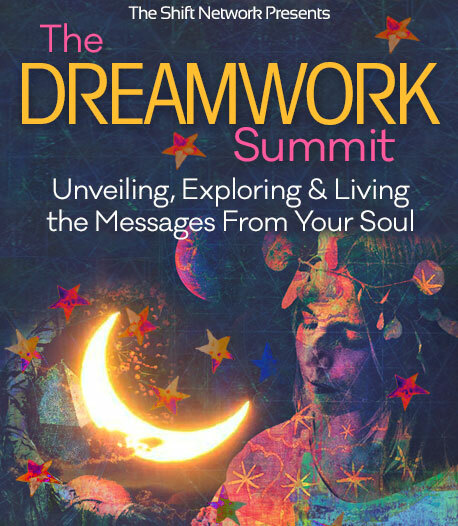 Whether you’re new to dreamwork or a seasoned dreamworker, psychology professional, healer, or spiritual practitioner, you’ll discover exciting new practices and insights for turning to your dreams and imagination for guidance, healing, and inspiration. The visionary speakers in this series illuminate the healing and transformative powers of your dreams and how to bring their soul-guided wisdom into your everyday life through many modalities — from Natural Dreaming to Active Dreaming to Dream Yoga to DreamDancing®... and there are also tips for those who don’t remember their dreams! When you pay attention to your dreams, journal about them, sketch the images from them, and talk about them with others, you invite in your soul and your truest Self — in other words, all of who you are — to explore what you like (and don’t love) about yourself, and the unconscious processing you’re not even aware of. You discover through symbols, images, feelings, and your intuition what you truly desire for your life — and who you really are beneath your ego-dominated, waking mind. You can become empowered by a new connection to your soul’s inner knowing and the work you need to do to bring its wisdom into the light of day. Dreamwork is a practice that helps you create a living bridge for your soul-aligned desires to manifest in your life — so you can become the most authentic, evolved, and fulfilled version of yourself. Steeped in the magic of the power of imagination, dreamwork is also a lot of fun! 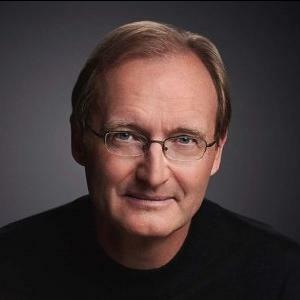 In this enlightening series, you’ll discover that each approach to dreamwork provides a unique pathway into a more profound relationship with yourself, others, and the world — and, by listening to the wisdom of your dreams, you open to opportunities for greater wellbeing, joy, fulfilment, and spiritual advancement. 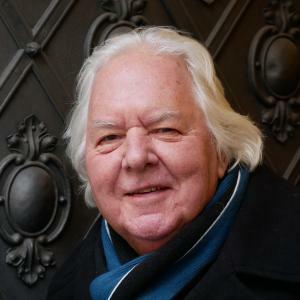 Robert Moss shares how dream visitations by the deceased — and dream visits to the realms where they are very much alive — are a primary source of the age-old human belief that consciousness survives the death of the body. Jean Shinoda-Bolen highlights how valuable the symbolic and metaphoric language of the dreaming psyche is in helping us evolve on the path of individuation. Sandra Ingerman provides a glimpse into the ancient universal practice of shamanism, illuminating that we are all dreamers who have the potential to transform our lives and our outer world. 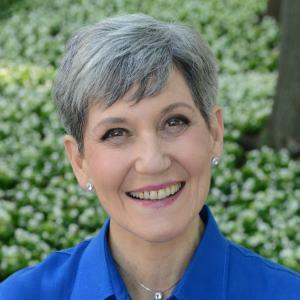 Lynne McTaggart explains how the simple use of focused intention by a small group can help heal others, your life, and the world... and offers tips for practicing this fascinating process to influence positive changes in your life and the lives of others. 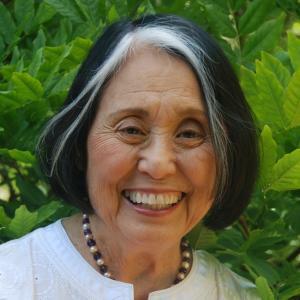 Grace Cheptu sheds light on Archetypal Dreamwork and its ability to help you connect with your inner mystic and the collective unconscious... so you can celebrate your gifts, face your foibles and blind spots without judgment, and step into your passion-filled life. 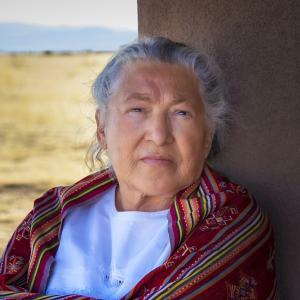 Grandmother Flordemayo explores the collective dreams we may have within spiritual communities or families or with people across the country or globe... and shows how precognitive dreams can help you ease into the future. Toko-pa Turner explores the ways your dreams can unveil the “alienated self,” and help you come back into relationship with this outcast self to create a sense of true belonging in your life and our world. Christina Donnell enlightens you on Transcendent Dreaming, a kind of lucid dreaming in which you experience a radical shift from identification with the individual self to identification with your true, limitless nature. 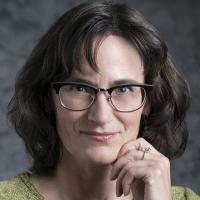 Tina Stromsted introduces DreamDancing® and the many benefits of this integrative, somatic approach to dream interpretation for psychotherapists, spiritual and healing practitioners, clients, students, artists, social activists, and curious dreamers. Andrew Holecek dives into the world of nocturnal meditation and the remarkable opportunities that await you every night through lucid dreaming, dream yoga, and sleep yoga. The Dreamwork Summit series can be incredibly beneficial for ALL. Regardless of your previous experience with dreamwork, you’ll understand more deeply how your soul’s longings emerge and your truest self is unveiled in your dreams... as well as the guidance and healing that are available there. By looking to your dreams for guidance, healing, and inspiration, you open to a higher source of knowledge... to wisdom aligned with your soul — which some call psyche, Spirit, or the Higher Self. And by learning how to bring this wisdom out into the light of day through dreamwork, you’re empowered to live a happier, healthier, more creative and fulfilling life. Plus, living an authentic, soul-led life brings inspiration and healing to those around you and to the greater world. 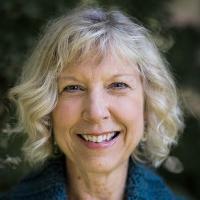 You’re in good hands with summit host Susan Audrey, who holds a master’s degree in Depth Psychology. 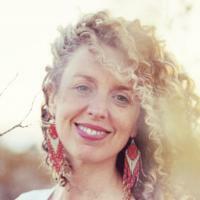 She is a dreamwork practitioner and guide whose precognitive dreams and miraculous connection with the sacred feminine archetype of the Black Madonna have made her a true believer in the power of dreaming to connect us with something greater than ourselves, deepen our trust in life, and grow our sense of belonging. 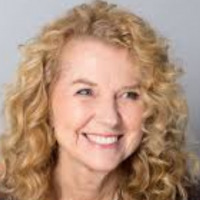 Susan is also trained in therapeutic guided imagery, and is a member of the International Association for the Study of Dreams. Susan Audrey's informed passion for dreamwork is irresistible and inspiring. 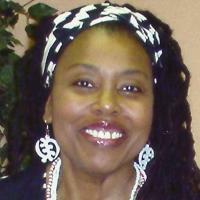 She deftly guides people at all levels of practice to open to tools and resources for soul and survival beyond the ken of the ordinary mind... and to embody and apply healing energy and guidance from the deeper dimensions of consciousness and reality that open to us in dreams. Susan embraces a deep, innate understanding of dreamwork, inspired by her passion and rooted in her knowledge of its value and beauty. She has a natural gift for relating to the inner world, and guides dreamers from a place of integrity and joyful service toward life. I’ve had the great honor of participating in Susan’s bi-weekly dreamwork circle. She holds a powerfully safe and intimate container for us to vulnerably reveal our dreams and provide and receive meaningful insights. 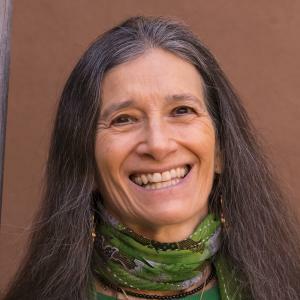 With her shamanic drumming, Susan is a master at pulling us through the veil to enter more deeply into our dreams — which allows us to interact with them and discover the gems they contain. Her feedback is brilliantly incisive and has helped me integrate the unconscious into my conscious awareness so I can create shifts and healing in my reality. This privacy statement discloses the privacy practices of The Shift Network, Inc. and all websites owned or operated by or on behalf of The Shift Network, Inc., including, without limitation, theshiftnetwork.com (collectively referred to as “our websites”). The types of information that we collect fall under two general categories: Personally identifiable information (PII) and non-personally identifiable information (non-PII). PII consists of any information which can be used to specifically identify you as an individual and may include. Non-PII consists of aggregate information or any information that does not reveal your identity. The following sections describe how your PII and non-PII are collected by us, and how we use such information. Log Files. Any time you visit any of our websites, our servers automatically gather information from your browser (such as your IP addresses, browser type, Internet service provider (ISP), referring/exit pages, platform type, date/time stamp, and number of clicks) to analyze trends, administer the site, prevent fraud, track visitor movement in the aggregate, and gather broad demographic information. For example, we may log your IP address for system administration purposes. IP addresses are logged to track a user’s session. This gives us an idea of which parts of the site users are visiting. We do not share the log files externally. Web Beacons. “Web beacons” (also known as “clear gifs” and “pixel tags”) are small transparent graphic images that are often used in conjunction with cookies in order to further personalize our website for our users and to collect a limited set of information about our visitors. We may also use web beacons in email communications in order to understand the behavior of our customers. We do not link the web beacons to any PII. Information About You. When you register, enroll or place an order for any products or services, we collect information about you. For interactive content and community services where you may choose to have a public profile, we may display your non-PII information to other community members and visitors. You may choose to provide us with your photo(s) or video(s) and by providing us such content, you agree that we may make them available to other members and visitors. Except as otherwise stated in this privacy statement, we do not disclose your PII to you or other users of our services. Purchase Information. To process purchases, we may require your name, address, phone number, email address and credit card information. Such information is used primarily to process your order or as otherwise described herein. Credit card transactions are processed using industry standard Secure Socket Layer (SSL) and/or strong encryption (3DES) by a third party, which only uses your information for that purpose. Emails and Telephone Calls. We require an email address from you when you register for our services. We use your email address for both transactional (e.g., order confirmation and renewal processing) and promotional (e.g., newsletters, new product offerings, special discounts, event notifications, special third-party offers) purposes. Email messages we send you may contain code that enables our database to track your usage of the emails, including whether the email was opened and what links (if any) were clicked. If you would rather not receive promotional emails from us, please see the section below labeled “Choice/Opt-Out.” We reserve the right to send you certain communications relating to our services, such as service announcements and administrative messages, without offering you the opportunity to opt out of receiving them. We may also contact you by telephone or text message (including to any wireless number you may provide to us) in connection with our services. If you would rather not receive telephone calls or text messages from us, you may ask to be removed from our contact list if you receive a call or text message from us. We fully comply with the requirements of the U.S. CAN-SPAM Act. Demographic Data. Demographic data is also collected at our site. We may use this data to tailor our visitors’ experience at our site, showing them content that we think they might be interested in, and displaying the content according to their preferences. Some of this information may be shared with advertisers on a non-personally identifiable basis. Online Survey Data. We may periodically conduct voluntary member surveys. We encourage our members to participate in such surveys because they provide us with important information regarding the improvement of our services. You may also volunteer for certain surveys that we may offer to our users, and any additional rules regarding the conduct of such surveys will be disclosed to you prior to your participation. We do not link the survey responses to any PII, and all responses are anonymous. Public Forums. We may make discussion boards available to our users and visitors. Any information that is disclosed in these areas becomes public information and you should exercise caution when deciding to disclose any PII. Please consult the community guidelines for each discussion board for other specific information. Set out below is a description of the ways we intend to use your personal data and the legal grounds on which we process such data. We have also explained what our legitimate interests are where relevant. We may process your personal data for more than one lawful ground, depending on the specific purpose for which we are using your data. Please email us at support@theshiftnetwork.com if you need details about the specific legal ground we are relying on to process your personal data where more than one ground has been set out in the table below. You can ask us or third parties to stop sending you marketing messages at any time by following the opt-out links on any marketing message sent or by emailing us at support@theshiftnetwork.com or by using our subscription management tool. Disclosure By Law. You acknowledge and agree that we may disclose information you provide if required to do so by law, at the request of a third party, or if we, in our sole discretion, believe that disclosure is reasonable to comply with the law, requests or orders from law enforcement or any legal process, protect or defend our rights or property, or protect someone’s health or safety. Disclosure to Trusted Third Parties By Us. We may share your non-PII with third parties, but not in a manner that would reveal your identity. We may share your PII, sometimes in conjunction with your non-PII with service providers that may be associated with us to perform functions on our behalf. For example, outsourced customer care agents or technology assistants may need access to your information to perform services for you. Your information will be treated as private and confidential by such service providers and not used for any other purpose than we authorize. In addition, from time to time, we may share PII (such as email or mailing address) about our user base with carefully selected third parties, so they can offer goods and services that we believe may be of interest to our users. If you do not wish to receive offers from our trusted partners, you can change your email preferences at any time by following the steps outlined in the “Choice/Opt-Out” section below. We may partner with third-party advertising agencies or other service providers to serve ads on our website on behalf of The Shift Network or third-party advertisers (e.g., retailers of goods or services). These companies may employ cookies and web beacons to measure advertising effectiveness. Any information that these third parties collect via cookies and web beacons is completely anonymous. Some of these third-party advertising agencies may be members of the Network Advertising Initiative, which offers you the option to opt out of ad targeting from its member agencies by following the procedures listed here. We will only share your information with third parties in the ways defined in this privacy statement. Our age restrictions for different services are set forth in each website’s applicable Terms and Conditions of Service. We do not target any of our sites or services to children under the age of 13, and in compliance with the Children’s Online Privacy Protection Act, any information we may receive from users we believe to be under the age of 13 will be purged from our database. We have security measures in place to protect against the loss, misuse and alteration of information stored in our databases. These measures include use of Secure Socket Layer (SSL) and/or strong encryption (3DES) technology during credit card transactions and administrator sessions, as well as other security measures which are applied to all data at rest and in transit. We will exercise reasonable care in providing for the secure transmission of information between your computer and our servers, but we cannot ensure or warrant the security of any information transmitted to us over the Internet and accept no liability for any unintentional disclosure. If you wish to exercise any of the rights set out above, please email us at support@theshiftnetwork.com. We are not responsible for the privacy practices or the content of other websites that may be linked to this site or of any third party advertisers. Click on the “unsubscribe” link on the bottom of the e-mail. You may opt out of the DoubleClick cookie by visiting the Google advertising opt-out page. Or you may opt out of Google Analytics by visiting the Google Analytics Opt-out page. The Shift Network provides users the following options for changing and modifying information previously submitted. 2. You can send mail or electronic mail to the address listed above, providing us with your account information and letting us know which information you wish to update. If you have any questions about this privacy statement, the practices of this site, or your dealings with any of our websites, you can contact: support@theshiftnetwork.com. Your use of our websites, including any dispute concerning privacy, is subject to this privacy statement and the applicable Terms and Conditions of Service. BY USING OUR WEBSITES, YOU ARE ACCEPTING THE PRACTICES SET OUT IN THIS PRIVACY STATEMENT AND THE APPLICABLE TERMS AND CONDITIONS OF SERVICE. Your continued use of any portion of our website following posting of the updated privacy statement will constitute your acceptance of the changes.